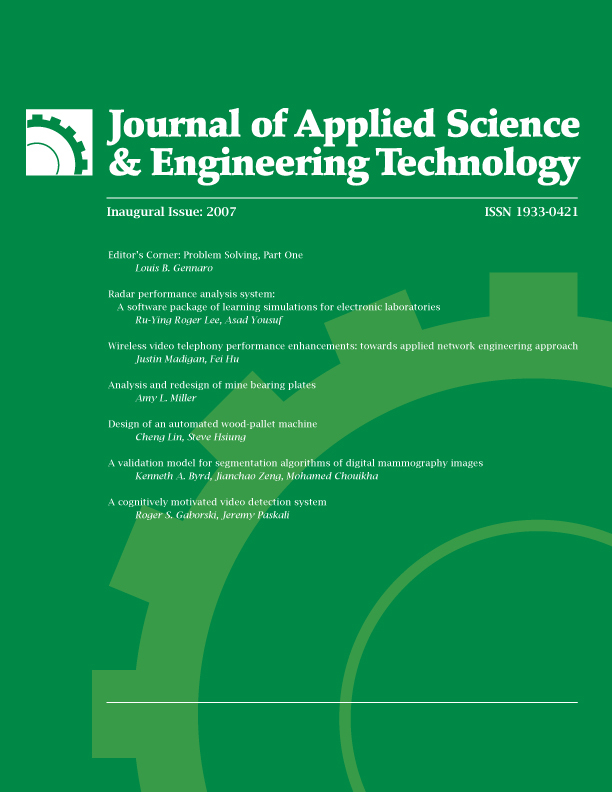 The Journal of Applied Science and Engineering Technology (JASET) is an online peer-reviewed, open access journal launched by Rochester Institute of Technology's (RIT's) College of Applied Science and Technology (CAST). JASET presents the latest empirically-derived methodologies, analyses, and results in engineering, technology, and the applied sciences on an annual basis. JASET can be viewed online or purchased in a print edition.